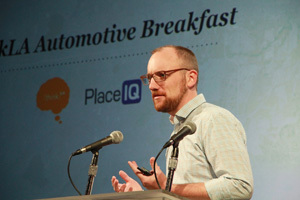 We hope everyone enjoyed Auto Breakfast presented by PlaceIQ! We are beyond grateful to those who attended, the knowledgable speakers and especially to our sponsors who helped make all the magic happen. This year’s event was presented by PlaceIQ, and supported by Alphonso, Media IQ, Cox Automotive, Foursquare, IHS Markit, Thinknear, and US News. - "I had a great time. I've been to many of these talks and this was the first time my attention was kept through the entire presentation." - "Wonderful speakers and a great variety of topics. Can't wait for next year!" 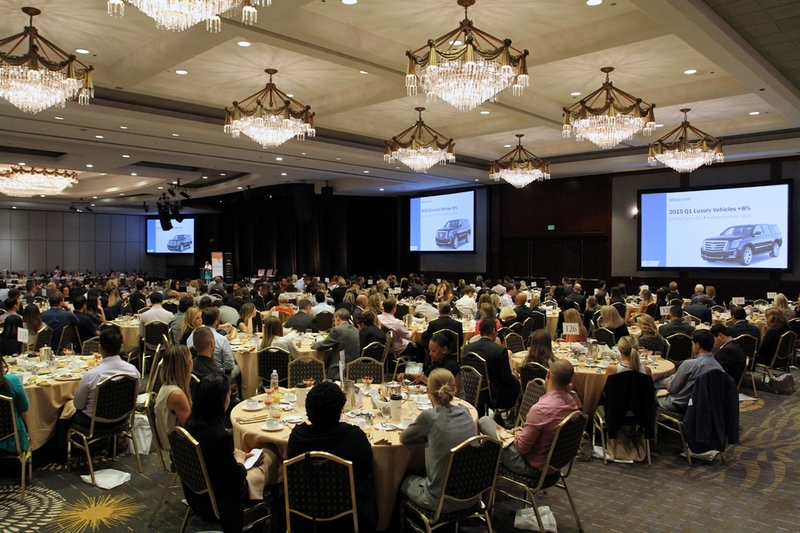 - "Auto breakfast continues to be one of the best industry events in Los Angeles. Amazing speakers that gave interesting insights." 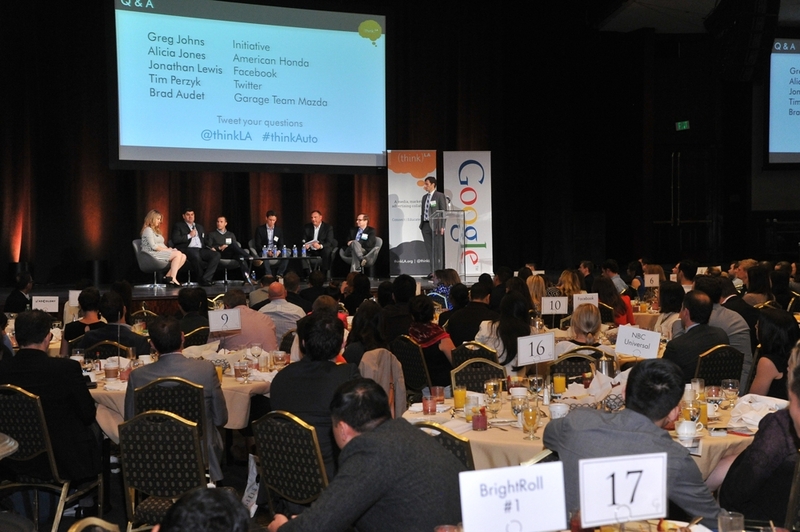 The ThinkLA Auto Breakfast 2015, “Accelerating Through the Innovation Curve,” took us through a varied landscape of speakers exploring how auto marketers can stay on track, keep consumer engagement high, and leverage new uses of technology to impact brands. Michelle Krebs, Director of Automotive Relations, Senior Analyst , Cox Automotive/Auto Trader presented an automotive “feast” of the 2015 automotive trends and forecasts, featuring stats on the “meat and potatoes” of rising SUV and luxury sales vs the “healthy vegetables” of declining hybrid/electric vehicles. Jan Thompson, SVP and US Auto Lead at Ipsos; Douwe Rademaker, global CEO of the MarketQuest division at Ipsos, and Andrew Leary, CEO of the Ipsos Social Media Exchange, discussed their brand-new Censydiam Social Automotive Study, using a comparison of the Lexus NX and Acura RDX SUVs to show how social performance affects the path to purchase. Rich Reigart, 360i shared details on Toyota’s partnership with Oculus Rift in bringing leading edge technology to encourage safe teen driving. Their innovative simulator experience has exposed thousands of teens and their parents to the dangers of distracted driving, with overwhelmingly positive results for the participants and for the brand. Finally, we cruised through the Programmatic arena with help from Mike Margolin, RPA’s Director of Media Strategy, Tom Kelly, AOL’s VP of Platform Partnerships, and Tom Triscari, CEO of Labmatik. They discussed various models of how automated advertising is being used by auto marketers, shared successful client experiences, and explored what it takes to be an automotive programmatic leader. On April 23rd, industry professionals explained how Social Media, PR, Analog/TV, Experiential, CRM, SEM and In-Car Tech can work together to amplify brand messaging and cross-promote in the digital space. 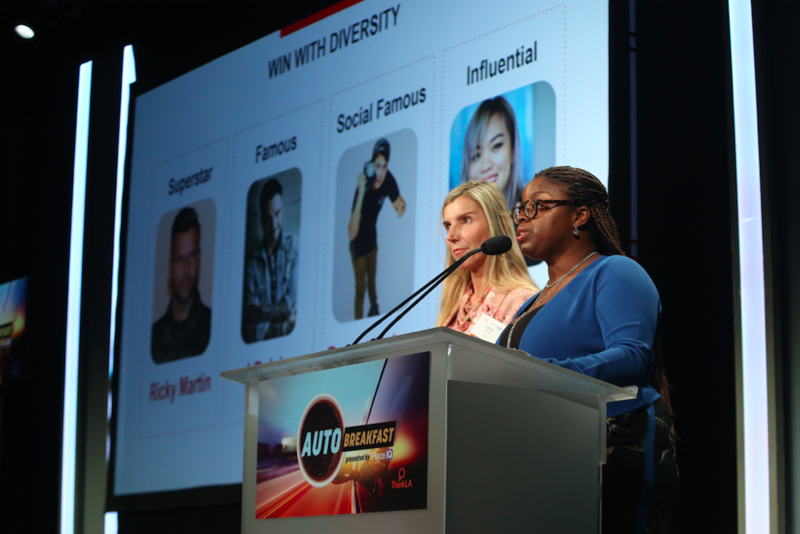 What were the top takeaways from the Automotive Breakfast? The combination of a space shuttle and zombies is a supernatural phenomenon. The Toyota Tundra Endeavour and the Zombie edition of Hyundai Elantra made a rare appearance at our breakfast. 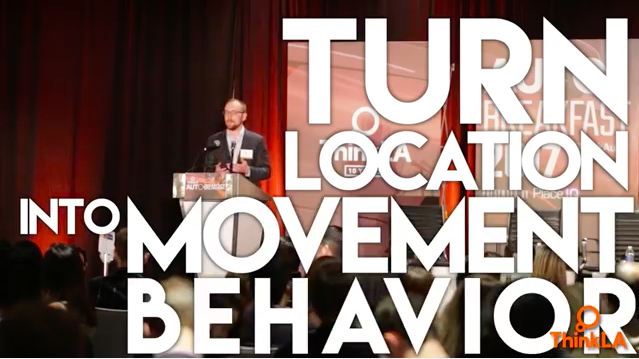 Jack Hollis, VP of Marketing at Toyota, shared how Toyota is *connecting* in new ways and delivering on their "Let’s Go Places” campaign. David Angelo of David&Goliath (Kia account) proved how *like-mindedness* and having the right partners, like Blake Griffin, are key to success. Be brave. All cylinders should fire! Initiative's Fred Sattler (Hyundai account) showed us how having a branded content and integration checklist is important. @thinkla @initiativeww good strategy to keep things going mid-season w/an initial reveal in comic book & then to comic-con w/photo booth!